ServiceMaster DAK can help restore the tile and grout in your home or business. 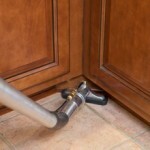 One of the biggest challenges with tile flooring is keeping the grout clean. Just like carpet, dirt builds up over time causing your tile to look dull and discoloring your grout. Our powerful, truck mounted, high pressure tile & grout cleaning process will get rid of the deep down dirt on the tile and in the grout lines that regular cleaning and mopping just doesn’t remove.